There's no denying that Michael Nesmith is a unique character. At 75, he's accomplished a lot as a businessman, cultural figure and, of course, a songwriter for the Monkees. At this point in his career, however, he's still delivering surprises. For example, did you know he's a leading scholar in vaporwave? Nesmith spoke with Rolling Stone for a feature on some of his favourite songs. In the process, he surprised the magazine with a deep and encyclopedic knowledge of one of history's most online music genres. "Your best and only access to it is the Internet," he said. "You've got to put in 'vaporwave' on YouTube and follow it down. It's an endless cavern of inter-connected convolutions. I tell everybody I meet about it. Once you open it up, it's like cracking an egg. It goes all over the place." Lest you think he's a fairweather fan, Nesmith backed up his statements with a deep knowledge of the genre. 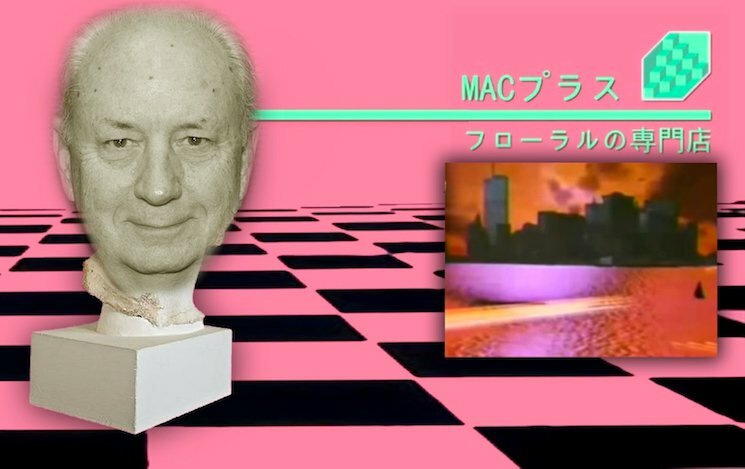 He praised the Macintosh Plus' genre-defining Floral Shoppe ("It's the most psychedelic stuff I've heard ever since psychedelics") before diving into 2814's Birth of a New Day and remixes of music from Toto ("This is on the channel called Shitpost Wizard," he said), ABBA and Tears for Fears. You should really dig into the whole thing here. In honour of this momentous revelation, we've shared a vaporwave remix of the Monkees' theme song below.